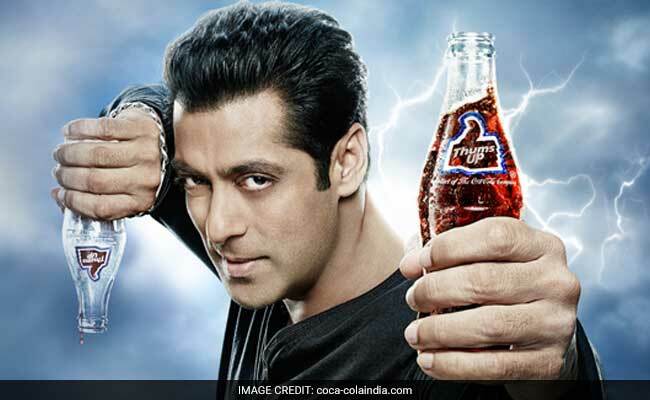 Coca-Cola India has declared that they are not going to renew the contract with Salman Khan for Thums Up. The company is looking for a younger face,” one of the officials said. Gen-Now heartthrob Ranveer Singh could replace Salman, sources revealed on Wednesday. While Coca-Cola has not given any official reason behind the move, the decision comes within weeks that Salman countered demands that Pakistani actors be banned from working in Bollywood, in the wake of the Uri attacks. He had said it was the Indian government that gave Pakistani artists work permits and so they should not be equated with terrorists, who enter the country on the sly with a destructive purpose. Khan, 50, who has just delivered mega hit movie ‘Sultan’ with record domestic box office collections of more than Rs 300 crore, was Coca-Cola’s costliest ambassador, said the officials quoted earlier. This is not the first time Salman is dropped from Thums Up campaign. He has been endorsing the brand since early 2000s but his contract was annulled in 2012 after controversy over his court cases started burgeoning. Akshay Kumar briefly modelled for the brand during this tenure. Salman, however, returned to the Thums Up bandwagon when his NGO ‘Being Human’ signed a deal with Coca-Cola India to engage in charity work. Neither Coke nor Salman were available for comment. Ranveer Singh, one of the most prominent younger stars in Bollywood, also endorses Kellogg’s oats, Jack & Jones apparel and Ching’s Secret noodles. 2 Comments on "Ranveer Singh gets Thums Up as Salman Khan dropped as brand ambassador"